Hello Everyone! We are extremely happy to welcome Bet-at-Home affiliates to our partnership programme with Casino4U. First of all, this is a major breakthrough for the future of Casino4U. The application for an affiliate partnership with Bet-at-Home Affiliates has been approved. As a result, we can now make full use of the modern marketing tools to provide you with a top casino site like Bet at Home Casino. Bet-at-Home Affiliates resides in Malta and was established in 1999. 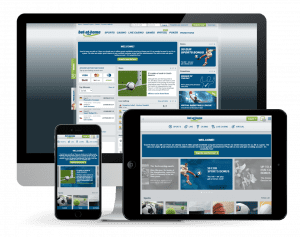 Also, this is one of the most well-used online betting providers in the European region. Bet at Home affiliates is home to more than 2 million registered customers. 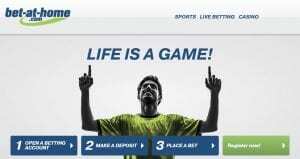 Bet-at-Home is so considerably big that it is hosted on the Vienna and Frankfurt stock exchanges. We are very happy to have this online gaming giant as an official partner with us here at Casino4U. First of all, this exciting new partnership means that our players will now have direct access to the official online casino hosted by this company. You can see our Bet at Home Casino review for a detailed guide into what’s going on and the variations of promotions available. Above all, we highly encourage our players to give us feedback on this newly featured casino. You are able to submit your thoughts in the comments section found below. Finally, this new partnership will provide numerous gaming options. For example, the services range from traditional online casino classics to virtual games and live sports betting options. Because of this, we are excited to hear your thoughts on your gaming experience with Bet-at-Home Casino. Most importantly, we continually strive to improve our services to you and truly value your opinion. Therefore, let us know what you think so we can continue to tailor our services to what our players value the most.